BERLIN — A lawmaker from the far-right Alternative for Germany party was attacked and seriously wounded by several men in the northwestern city of Bremen in what police said Tuesday may have been a politically motivated assault. The beating of Frank Magnitz, a lawmaker in the national parliament who leads the party’s branch in Bremen, drew condemnation from across the political spectrum. “There’s zero tolerance for violence, whoever is affected and wherever the violence comes from,” German Interior Minister Horst Seehofer told The Associated Press. Police said the 66-year-old Magnitz was beaten over the head with an unidentified object by at least three men in dark clothing and hoods or hats, who then fled. Two workers loading a car nearby found him on the ground and called an ambulance. Magnitz was hospitalized, and he told the dpa news agency that doctors want him to remain there until the weekend. He said he had little memory of the attack. His party, known by its German acronym AfD, distributed a photo of him lying on a gurney, with a bloody, gaping wound on his head and his right eye bruised and swollen. Authorities appealed for witnesses to the attack, saying they’re investigating whether Magnitz was attacked because of his political work, but haven’t ruled out other possibilities. 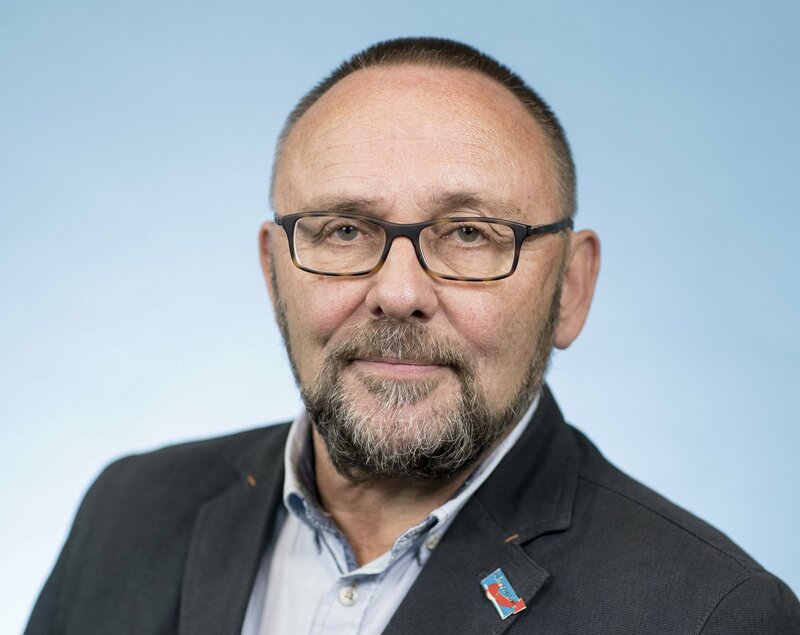 The AfD said Magnitz was ambushed after leaving a newspaper’s New Year reception, beaten unconscious with a piece of wood and then kicked in the head as he lay on the ground. “It was clearly an attempt to murder Mr. Magnitz,” AfD co-leader Alexander Gauland told reporters in Berlin. “This is the result of the ostracism and agitation AfD faces,” he said, suggesting other German political parties were partly responsible for the attack because they had compared AfD to Adolf Hitler’s Nazi party because of its nationalist rhetoric and campaigns against migrants. Magnitz told dpa that while he had received threats, he hadn’t considered any of them concrete. The party claims there have been “hundreds” of attacks against its officers and members since its founding in 2013. Last week, an explosion outside one of its offices in the eastern town of Doebeln damaged windows and doors. Magnitz is associated with the extreme right faction of the party, including its firebrand leader in the eastern state of Thuringia, Bjoern Hoecke. Bremen, Germany’s smallest state, has a regional election on May 26, the same day as the European Parliament elections in which AfD hopes to make gains. “There is no justification for this,” Maas said, calling for those responsible to be punished. That was echoed by other politicians from established parties, including prominent Green party politician Cem Ozdemir, who said AfD must be countered by legal means, not violence. “Anyone who fights hatred with hatred always lets hatred win in the end,” he tweeted. AfD is represented in all of Germany’s 16 state parliaments. It entered the national parliament in 2017 and is the biggest opposition party there. It views the country’s established political parties with contempt, and the feeling is mutual. The party won 10 percent of the vote in Bremen in the 2017 national election, below its nationwide result of 12.6 percent. Bremen is not considered an AfD stronghold, unlike three states in Germany’s ex-communist east that hold regional votes in September and October. Germany has seen other attacks on politicians in recent years. In 2015, a leading candidate for mayor in Cologne was stabbed in the neck by a far-right extremist. Henriette Beker, who was in charge of housing refugees when she was stabbed, was elected mayor the following day while still in an induced coma and took office about a month later. In 2017, a man with a knife attacked the mayor of Altena in western Germany. The mayor was known for voluntarily taking in more asylum-seekers than the small town was obliged to do so by authorities.